It was a bullish week for US equity indexes, with net weekly gains ranging from 1.93% (R2K), 1.66% (Nasdaq comp'), 0.86% (sp'500), 0.71% (nyse comp'), 0.51% (Trans), to 0.47% (Dow). 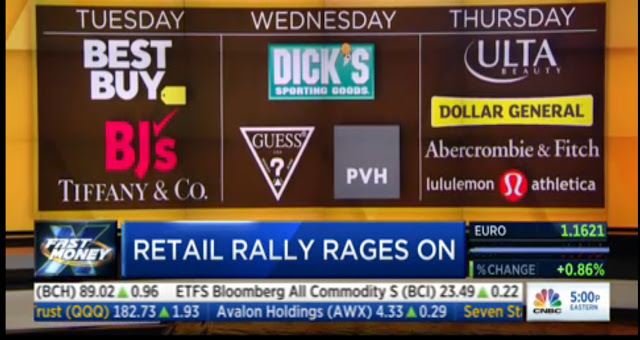 Near term outlook offers upside of another 1% into the Labor day holiday. 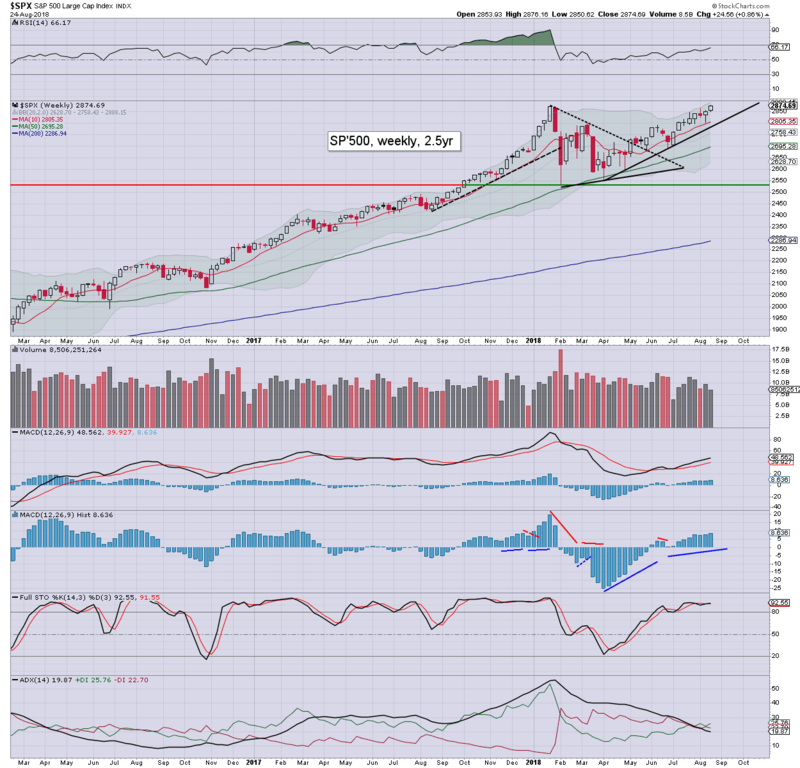 The sp' climbed for the 7th week of 8, settling +0.86% to 2874, having broken a new historic high of 2876. 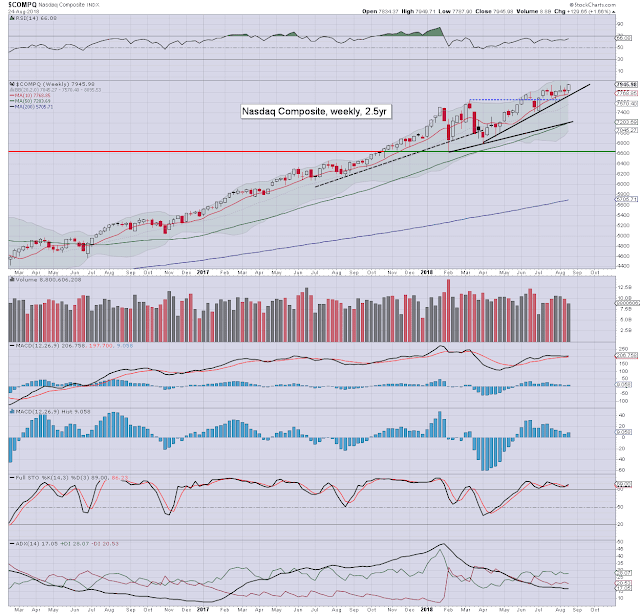 Underlying macd (blue bar histogram) is on the somewhat high side, but there are another 2-3 weeks of 'comfortable' upside. 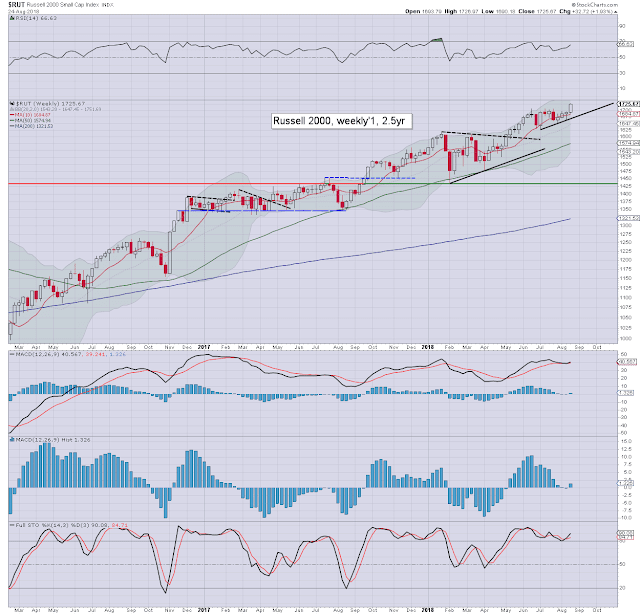 Best guess: big target of 2950/3047 zone should be seen by late September. The 3000s look viable in October. I would note that 3047 (the 2.618x fib' from March 2009) will be a very difficult threshold to break. If it is cleared though, the door will open to far higher levels. 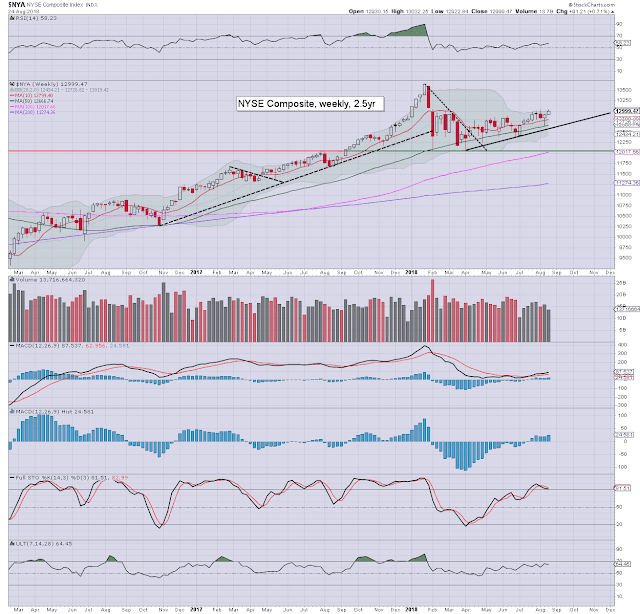 My original year end target is 3245, and I would accept that looks a stretch, even if we're in the 3000s by mid October. 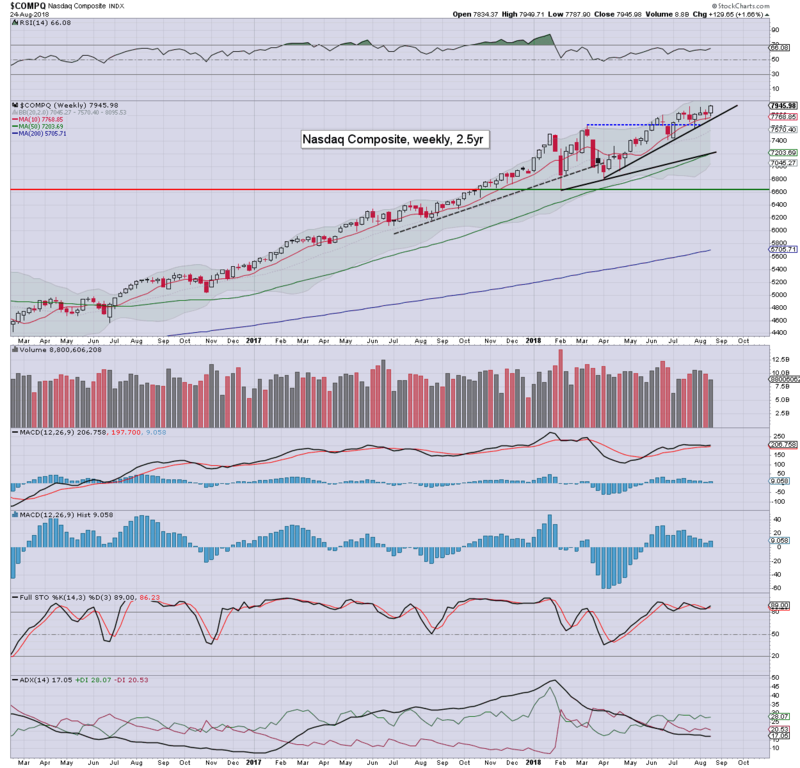 The Nasdaq comp' settled higher by a rather significant 1.66% to 7945, having broken a new historic high of 7949. The 8000s look due within 1-2 weeks. 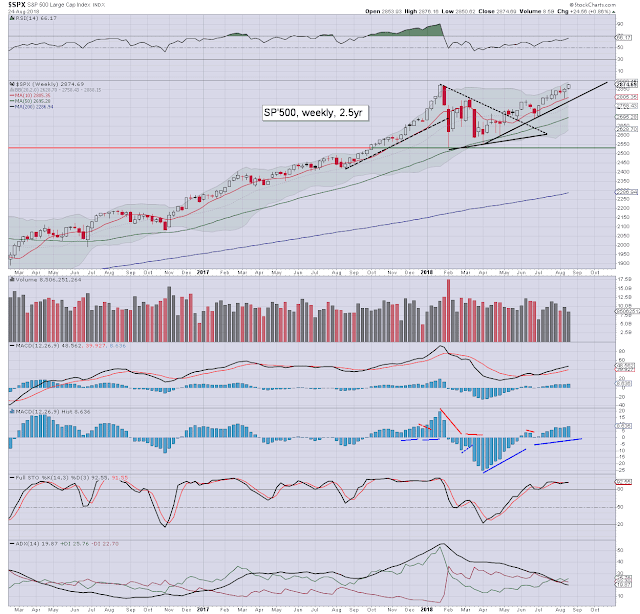 The only issue is whether things spiral upwards, with the 9000s by year end. The mighty Dow was the laggard this week, settling +0.47% to 25790, the second highest ever weekly settlement. New historic highs (>26616) won't be easy, but they do look viable by late September. The master index settled +0.71% to 12999. 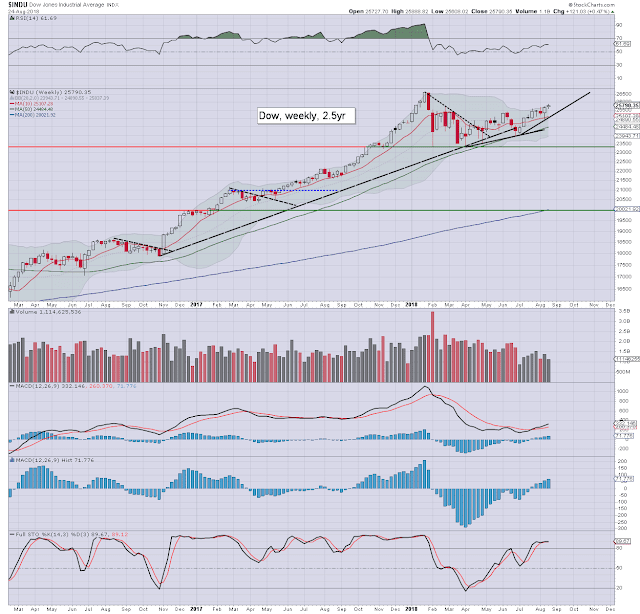 There is indeed some resistance around the 13k threshold, and things will turn far more bullish with the 13100s. 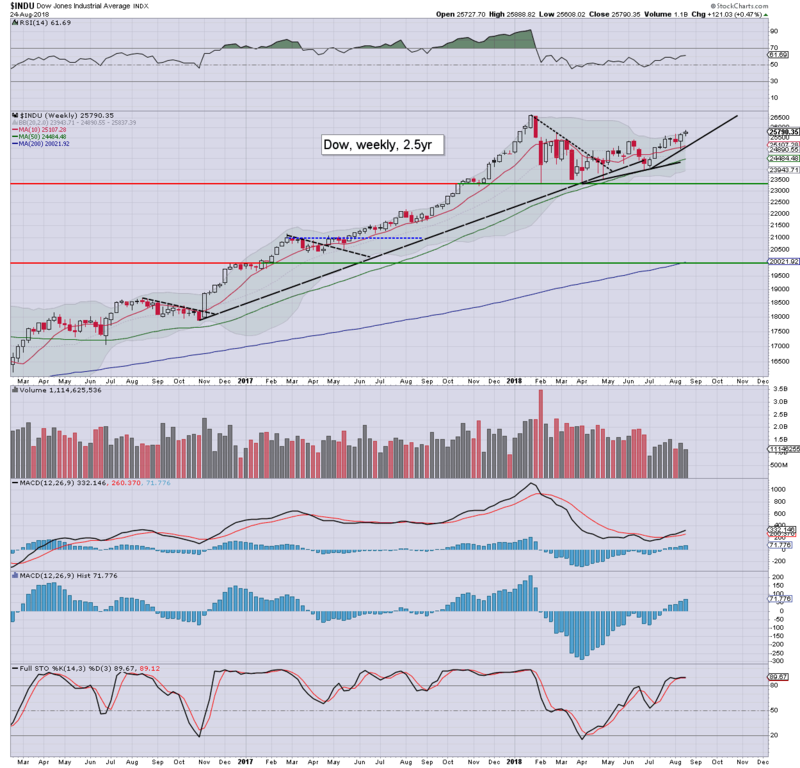 The second market leader was the strongest index this week, gaining 1.93% to 1725, with a new historic high of 1726. S/t bullish, with soft target of the 1750/75 zone. The 1800s won't be easy. The 'old leader' - Trans, climbed for the 7th week of 8, gaining 0.51% to 11284, with a new historic high of 11475. 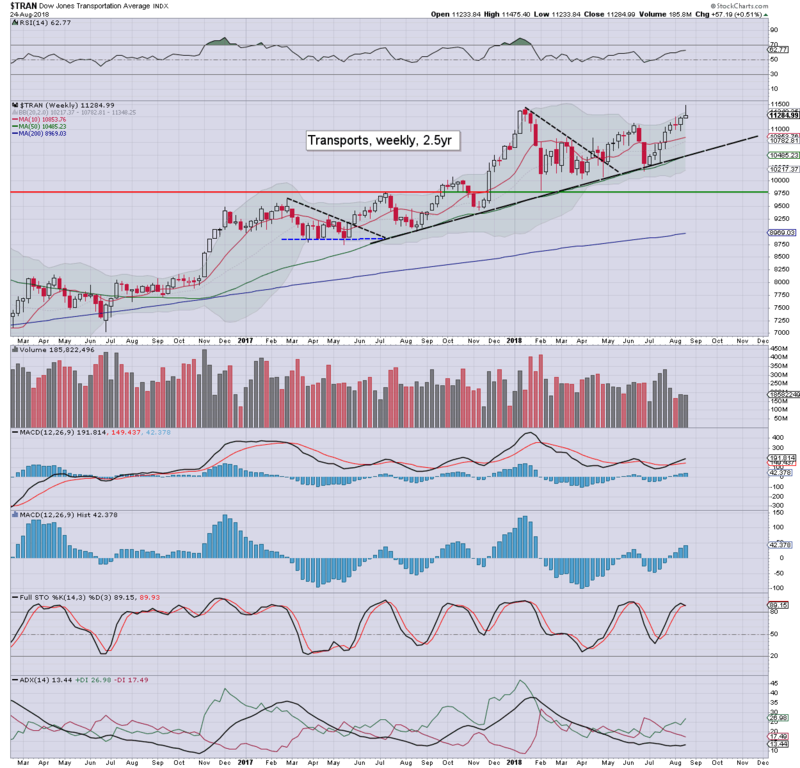 The 12000s look a stretch by year end, not least if WTIC breaks new multi-year highs. All six of the main indexes were net higher for the week. 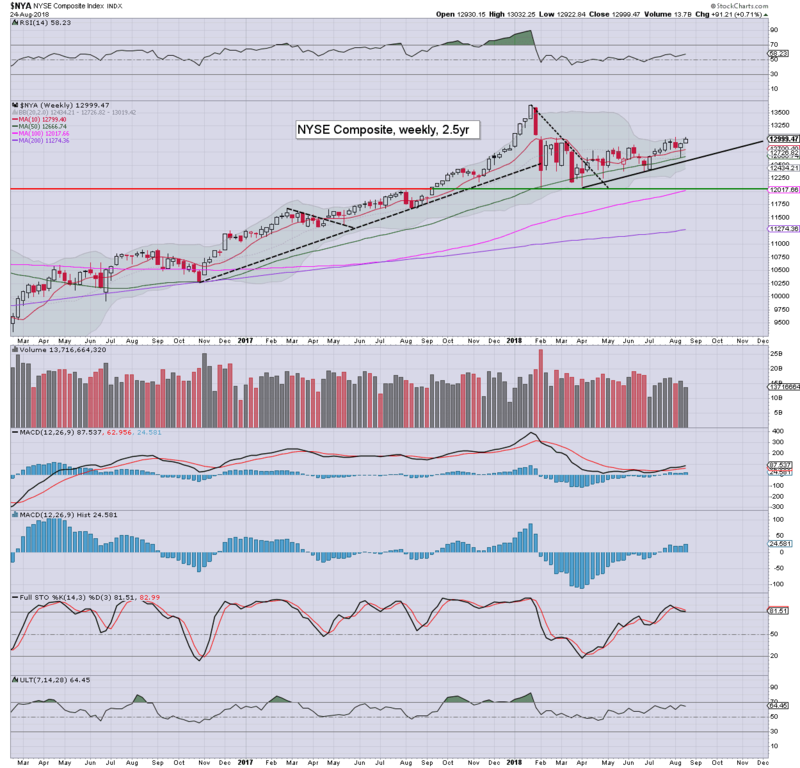 Four indexes broke new historic highs: Sp', Nasdaq comp', R2K, and Trans. The R2K and Nasdaq are back to leading the way higher, with the Trans and Dow lagging. The Nasdaq is leading the way, currently +15.1%, with the sp' +7.5%. The nyse comp' is the laggard, currently +1.5%. F - Chicago PMI, consumer sent. *the following Monday, Sept'3rd is Labor day, and the US market will be CLOSED. The Friday session can be expected to be very subdued, and that will favour the bulls for algo-bot upward melt into the end month settlement.